The vision statement for Piedmont Farm Animal Refuge really got me thinking about what the world would be like if everybody were vegan. Contrary to popular belief, the world wouldn’t be over-run with the 56 billion plus animals that are currently killed per year in slaughterhouses; instead they wouldn’t be bred for a short life of suffering in the first place (makes sense, right?). (1) Farms would be replaced by farm sanctuaries, caring for the remaining victims of the factory farm industry, and humans would be at peace with animals instead of exploiting them. Until this day, though, I’m thankful we have places such as Piedmont! Piedmont Farm Animal Refuge is a non-profit, fairly new addition to the world of animal sanctuaries and is 100% volunteer run. Founded in 2012 by Lenore Braford, the refuge provides lifelong sanctuary for animals in need, whilst educating the public about the realities of factory farming and promoting a vegan lifestyle. 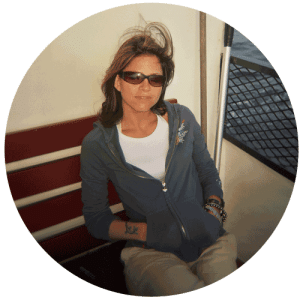 An Ohio native, Lenore has always had a love for animals. After becoming vegan, she found herself drawn to farm sanctuaries and spent five years interning at various organisations before opening up Piedmont in Pittsboro, North Carolina. Her partner, Paul Drake, designs and crafts spaces for the farm animals to live out their days in peace. 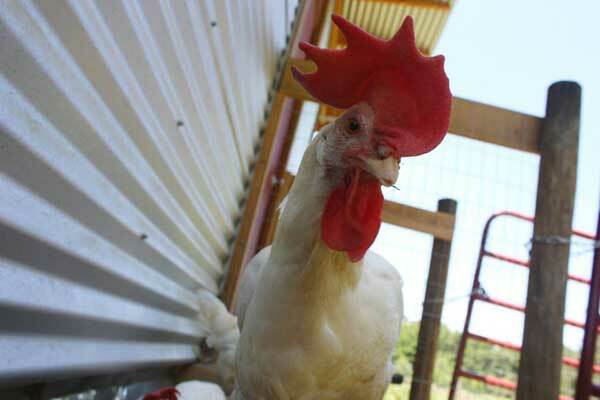 Piedmont’s rescues began with their very first resident of the refuge: Robby the Rooster. Robby was purchased as a chick, along with many others, as just another egg-making-machine, or so they thought. When it was discovered that Robby was actually a rooster, and no good for producing eggs, he was soon sure to be used for meat instead. Unfortunately, many birds just like Robby are incorrectly identified, as it can be hard to gender chicks at such a young age and in such a short amount of time. Luckily, there was somebody that cared about Robby’s life and contacted Piedmont where he now lives happily. Robby is just one of forty-five animals now safely residing at Piedmont, free from the factory farms that many of them came from. Piedmont prides itself on educating the public about factory farming and how to live cruelty-free. They organize educational work in the local community through activities such as vegan cooking classes, pamphleting at community festivals, and free vegan food give-aways (yum!). They also team up with other similar organizations whenever possible, and work together to provide essential information and assistance to those interested in adopting a vegan lifestyle. 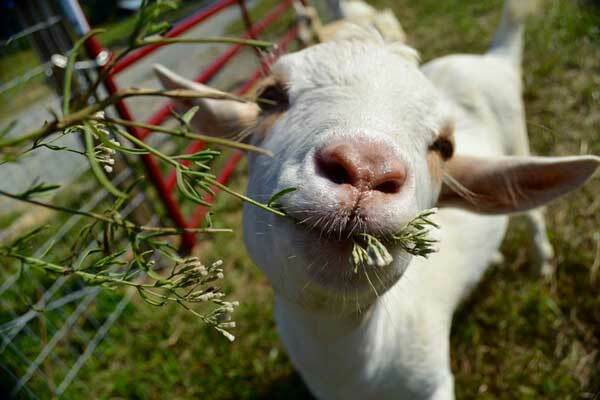 You can visit Piedmont by scheduling a private tour around the sanctuary and meeting their delightful residents. They also host special events, such as the upcoming Annual Benefit for the Animals this October. To find out more about this event, to schedule a tour or to find out how you can volunteer, take a look at their website. Here’s to a promising future for Piedmont! Photos courtesy of Piedmont Farm Animal Refuge and used with permission.